Occasionally I have been questioned as to why Blue Moon Rescue and Sanctuary has no horses available for adoption. Actually we do have some to be adopted as companion horses but rarely is anyone interested in a 20 plus year old full sized horse who can’t be ridden, usually for financial reasons. Most equine in our care are in their mid-twenties, have had pretty bad life experiences, cannot be ridden and require special diets and care. It is true, they would have perished in the wild, but they are not in the wild. That said we try to maintain a decent way for them to live out their lives. So next some may ask “What good are they if they can’t be ridden or driven?” My first response is that horses are just plain good for the soul… they are good for what ails you. One can ask the folks from Helping Hands adult care who come visit to love on our steeds every month and have for about the last 5 years. Seeing them smile as they brush a horse or reach from a wheelchair just to touch the softness of a horse’s coat is heartwarming. Stop by sometime and speak with a few of the young men in a recovery group who voluntarily come every week to donate their muscle and energy for a couple hours and spend time with our horses. Ask them how they feel when they leave and you will understand what these old horses are good for. We would like to offer visits from others, such as foster kids, nursing home outings, veterans who cannot ride or adults or students who need to fulfill community service obligations, but to do this, we need more horse savvy folks willing to assist with these types of projects. 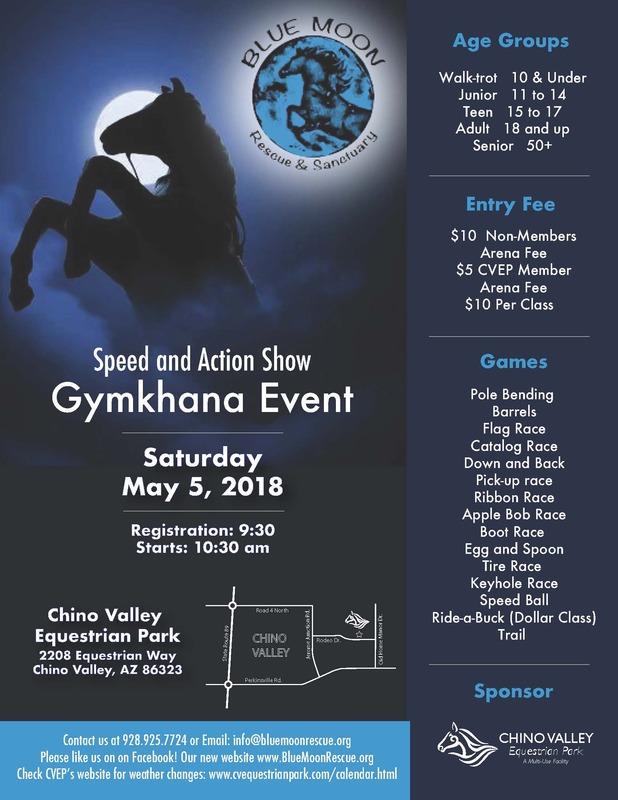 Blue Moon Rescue is part of a network reputable animal rescues in Arizona maintained by a retired horse lover. Consequently we may post on social media or in emails of other horses in the state in serious need of new homes. This networking project has matched at least two horses from other parts of the state to loving people in Yavapai County just in the last two or three months. Our future goal is to be able to offer sanctuary to more unwanted older horses. The need is there. In order to do this we are in need of grants and some serious fundraising efforts. We have no paid employees. As it is now our main source of income to at least feed our friends is the Blue Moon Horse and Hay Club. While it is a ton of work, 100 percent of the profit from the sale of Bermuda grass hay provides the majority of the feed our horses need. If you are interested in helping us in any way, please email info@bluemoonrescue.org. It is a good way to get tired.